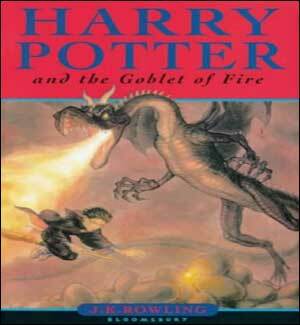 It's the pivotal fourth novel in the seven-part tale of Harry Potter's training as a wizard and his coming of age. Harry wants to get away from the pernicious Dursleys and go to the International Quidditch Cup with Hermione, Ron, and the Weasleys. He wants to dream about Cho Chang, his crush (and maybe do more than dream). He wants to find out about the mysterious event that's supposed to take place at Hogwarts this year, an event involving two other rival schools of magic, and a competition that hasn't happened for a hundred years. He wants to be a normal, fourteen-year-old wizard. Unfortunately for Harry Potter, he's not normal even by wizarding standards. Harry spends his remaining summer holiday with the Weasley family and Hermione Granger before attending the Quidditch World Cup. One night, Harry has a nightmare that Lord Voldemort and Peter "Wormtail" Pettigrew are discussing how Voldemort's "faithful servant" can somehow get to him. Voldemort's snake, Nagini, informs him that Frank Bryce, the Riddle Manor caretaker, is standing outside. Voldemort kills Bryce with the Avada Kedavra curse and Harry awakens with his scar throbbing in pain. At Hogwarts, Albus Dumbledore introduced retired Auror "Mad-Eye" Moody as the new Defence Against the Dark Arts teacher. He also announced that the interschool competition, the Triwizard Tournament, will be held at Hogwarts. One student from each competing school, (Hogwarts, Beauxbatons, and Durmstrang), will be selected as champions. Barty Crouch of the Ministry of Magic stated that students under age 17 are ineligible to compete. The Goblet selected Cedric Diggory, Fleur Delacour, and Viktor Krum, as the respective champions. 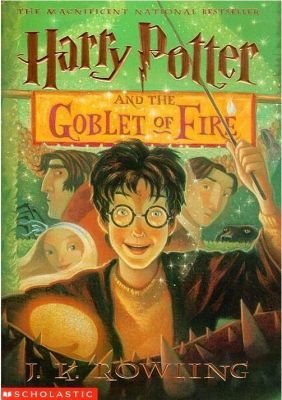 Mysteriously, the Goblet chose Harry Potter as the fourth champion. Even though he was underage and claimed to not have entered, he was forced to. Many students believed that he cheated including Ron who became jealous over the constant attention Harry receives. Hagrid revealed to Harry and Madame Maxime, Headmistress of Beauxbatons Academy, that the first event involved battling a dragon to retrieve a golden egg. Harry tipped off Cedric Diggory. Harry jointly won the first task with Viktor Krum. After seeing how dangerous the first challenge was, Ron realized that Harry did not cheat to enter the Tournement and they reconcile. At Christmas students attended the Yule Ball. As a Triwizard champion, Harry was required to have a partner for the opening dance. He invited Ravenclaw student, Cho Chang, but she was already Cedric Diggory's date. He eventually asked his classmate, Parvati Patil, and Ron goes with Parvati's twin, Padma. At the dance, both boys, and the rest of the school, were stunned to see a beautiful Hermione on Viktor Krum's arm, which leads to an unpleasant fight between Hermione and a jealous Ron. Fleur's partner was Ravenclaw Quidditch Captain, Roger Davies. Cedric Diggory gave Harry a clue to solve the riddle needed for the second challenge: each champion must rescue a friend who has been hidden in the Black Lake by the merpeople. Harry must retrieve Ron, Krum must rescue Hermione, Fleur must rescue her little sister Gabby, and Cedric is to save Cho Chang. Harry reached the target first but stayed behind to rescue the other champion's "friends" as well causing him to finish second. He is now tied for first place with Cedric Diggory. 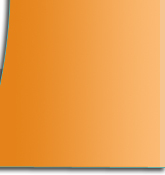 The final event is a maze, within which the Triwizard Cup is hidden. Whoever retrieved the cup first would be the victor. Harry and Cedric reached the cup together but, because they helped one another, they agree to grab the cup simultaneously. As it turned out, the cup was a portkey that transported them to a graveyard where Wormtail and Voldemort await. On Voldemort's command, Pettigrew killed Cedric then conducted a ritual using Harry's blood which restored Voldemort's body. Voldemort summoned the Death Eaters before engaging Harry in a duel. Unknown to Voldemort their wands were "brothers" (each core contained a tail feather from the phoenix, Fawkes). The wands work improperly against one another and a Priori Incantatem results. Voldemort's wand spills out echoes of the last five people it killed. The images momentarily shielded Harry so that he could escape through the portkey with Cedric's body.